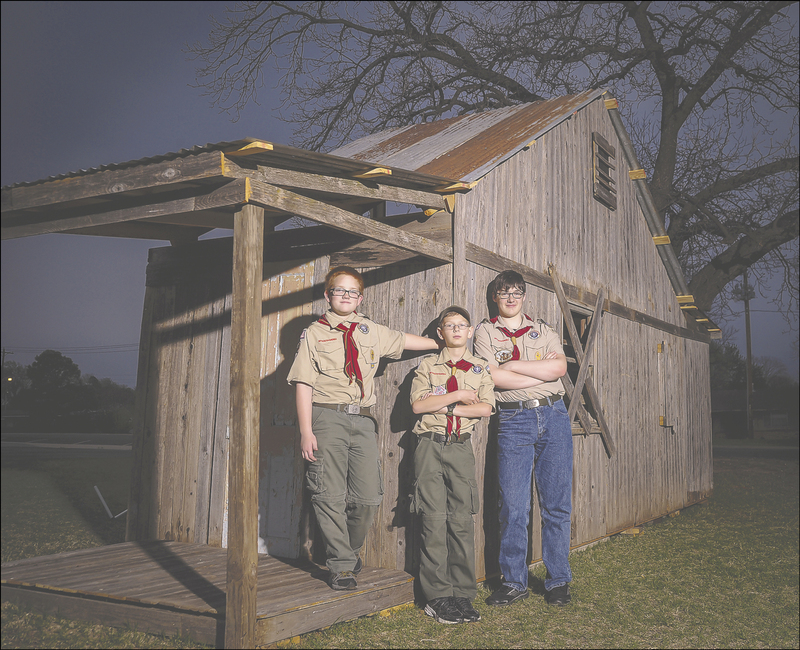 Boy Scouts built this replica at Shawnee-Wesley UMC to draw attention to "The Shack" sermon series. From left are McCamey Jones, Maddox Smith, and Jordan Carpenter. 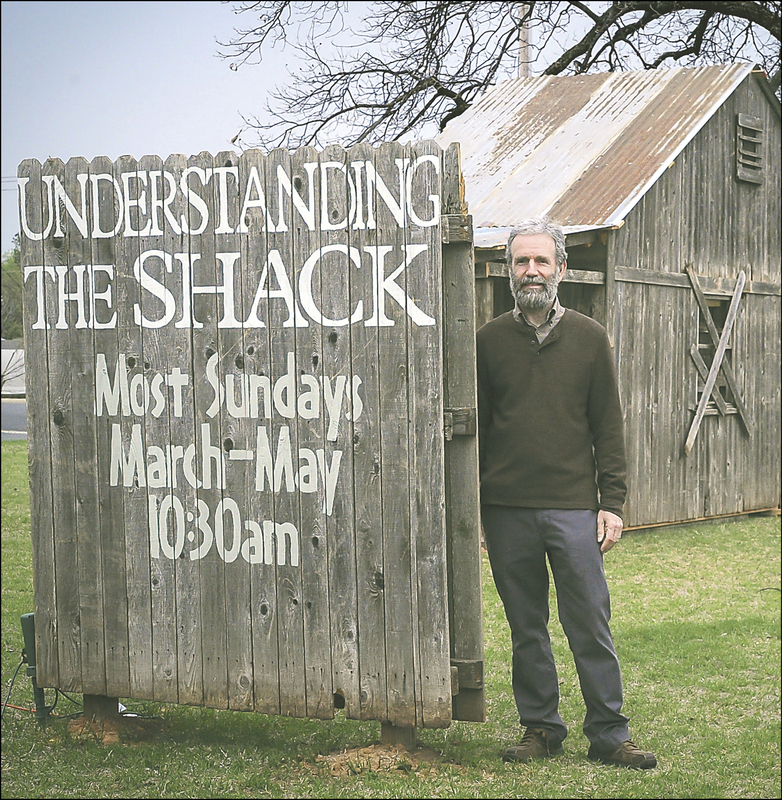 Pastor Ben Williams built "The Shack," a recent movie, into a sermon series at Shawnee-Wesley UMC.